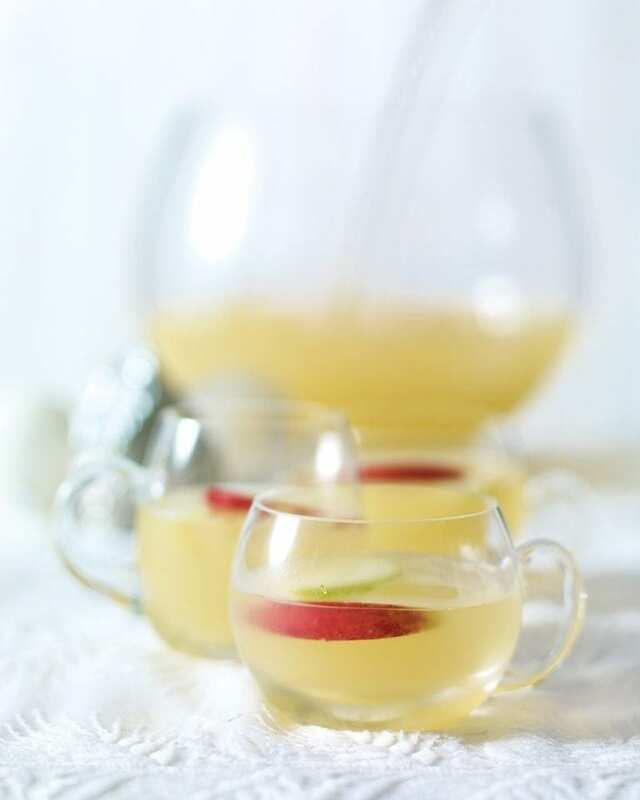 Ginger beer, brandy and cinnamon are combined to make this festive apple cocktail. In a punch bowl, bruise the ginger with the back of a metal spoon. Pour in the apple juice and brandy (if using), then squash the ginger again and stir well. Drop in a handful of ice and pour in the ginger beer, then ladle into 10 tumblers. Finish with an apple slice and cinnamon stick, if you like.